Coleman has a broad experience in all facets of commercial and industrial real estate with over 30 years of experience as a Developer and General Contractor. He is an expert in the development process from beginning to end with a deep understanding of finance, construction costs, the entitlement process, sales/leasing and property management. He has developed and constructed millions of square feet of commercial and industrial properties in the Northern Virginia and Mid-Atlantic regions. Having grown up and spent his career in Prince William County and Northern Virginia, Coleman knows the real estate market and its players well. Local and outside investors alike often turn to Coleman for advice and knowledge on the local real estate market. For 15 years Coleman was a Practitioner Faculty Member in the Master of Science Real Estate Programs at Johns Hopkins University (15 years), Georgetown University (4 years), and George Mason University (7 years) . 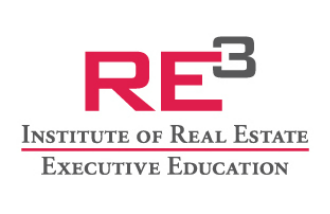 Classes taught; Real Estate Investments and Real Estate Entrepreneurship. Coleman has lectured at Harvard University in their Executive Education Program, ULI and has taught Real Estate Development at Virginia Tech. Coleman is a frequent Lecturer with NAIOP in their Development 101 series.